Green eggs and ham are now in fashion. Dr. Seuss was prophetic..
No longer a simple matter of brown versus white — eggs are going gourmet. So how about some blue eggs with that ham? Or perhaps an ostrich omelet? Quail quiche? Maybe you yearn for something "pastured," as in the eggs of hens that roamed free as a, well, bird. "They're so nutritious. They're so good for you. They're so delicious," he says. There she's raising "pastured poultry," allowing her hens to strut, scratch and grub across fields of pasture. The renewed interest in fresh and local food of the last decade or so has spurred a trend with organic and free-range eggs becoming more common, along with designer eggs touting various health claims. Meanwhile, other species have been showing up, with quail and duck on restaurant menus and available in some specialty markets. 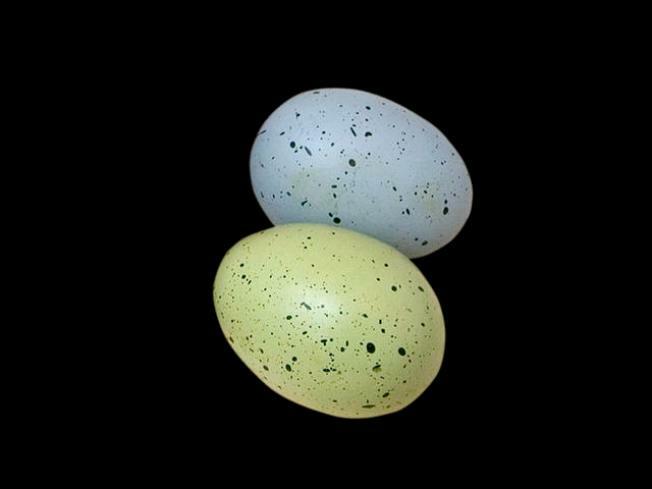 And lesser-known chicken breeds are reemerging, such as the Araucanas that lay eggs with bluish-green shells. Americans may be getting more adventurous with eggs, but they're eating fewer than before. Last year, the typical person ate 255 eggs; that's more than a decade ago, when it dipped to 234, but down from the more than 300 in 1970, according to federal data. And conventionally farmed chicken eggs dominate. The USDA doesn't have figures on pastured poultry or non-chicken species, but estimates there are about 2.2 million certified organic hens laying eggs, accounting for just over 1% of the consumer market. But interest in the gourmet side of the egg world is growing. Sales of organic eggs were up 18% to $190 million from 2005 to 2006, according to the Organic Trade Association. The yolks are "like a golf ball and the color is so intensely orange. It's just a concentration of flavor," says chef Lahlou, who often serves pastured eggs. If the egg is from an Araucana, he makes sure to send out the shell on the side. "When people see that it's blue, they really don't believe it." "As far as we're concerned, they've been hot for a long time," says Pirie. "They're a perfect protein food. They're a perfect energy food. We've loved them because they're a quick easy meal." Duck eggs, a sweeter and richer taste, they might serve with porcini. Quail eggs make a nice garnish on tiny toast.